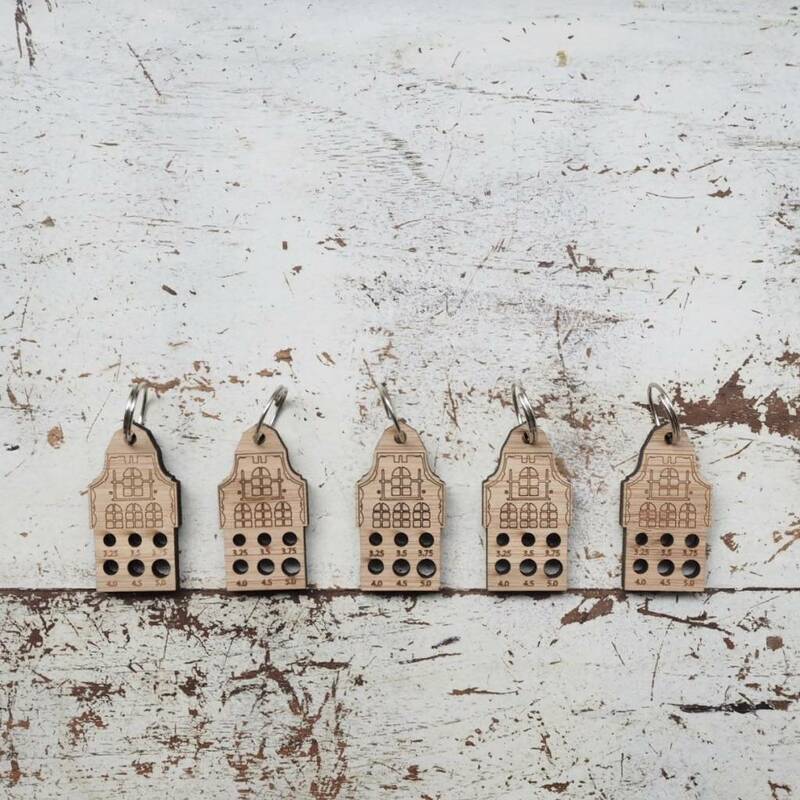 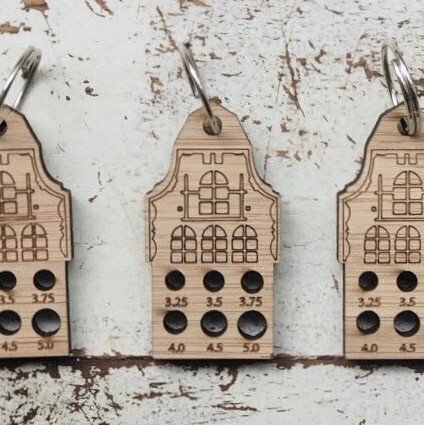 A helpful little tribute to the city of Amsterdam, these little keychains styled like canal houses double as needle gauges. 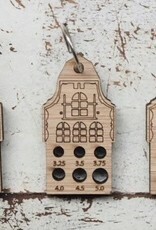 The gauge has millimeter sizes 3.25, 3.5, 3.75, 4.0, 4.5, and 5.0. 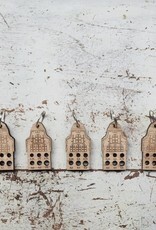 Perfect for knitters who prefer medium thickness yarns like DK and worsted!